Why become a Scuba Ranger Instructor? If you enjoy working with children and you enjoy teaching scuba, Scuba Rangers is arguably the most exciting opportunity for you since scuba was invented. It’s fun, it’s rewarding, it’s a joy. In fact, many Scuba Ranger Instructors report that they love it so much, they have no interest in teaching adults anymore. Scuba Rangers is the leader in children’s scuba education. We believe in children, and we want to see them become confident, comfortable little divers. We have more experience than anyone in the business, and are ready to share it with you. 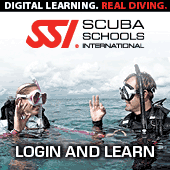 Scuba Rangers has a special training program for instructors. Experience has taught us that teaching children is much different than adults. We teach you how to adopt your existing knowledge and skills to training children. Scuba Rangers has the only teaching system built specifically to train children about diving. It’s kid-friendly, and talks to them the way they like it. Scuba Rangers cares about kids. We require background checks on all Scuba Ranger Instructors. How become a SCUBARANGERS Instructor?